Looking for stocking stuffers? 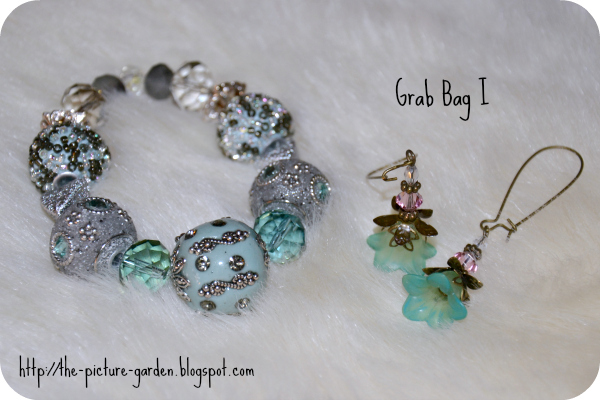 These grab bags are affordable and perfect for stocking gifts! If you would like personalized grab bags let me know in the notes at time of purchase or message me. You will receive TWO items in the bag. Even before opening the box these goodies arrived in I got excited merely by the weight and soft jingling of the surprise hidden inside. The two grab bags I ordered each came in a gauze bag and held two very different styles in store for me. 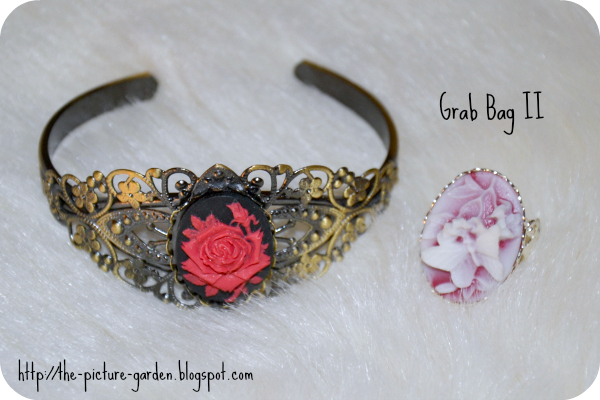 While the charmingly romantic cameo pieces and the playful lucite flower earrings captured me right away, I'm torn regarding the chunky bead bracelet. On one hand those are totally my colors on the other it's a just too flashy for my taste. I guess I will not use it to fill up my own jewelry box and stuff someone's stocking with it instead. Verdict? A lovely lil' jewelry treat for gifting (and keeping)! Which of the two grab bag versions is your favorite? Are you more the type of girl to go for dainty jewelry or do you prefer eye-catchers like the chunky bracelet? Those are extra cute, aren't they? I haven't worn them yet, but they will be perfect for spring.